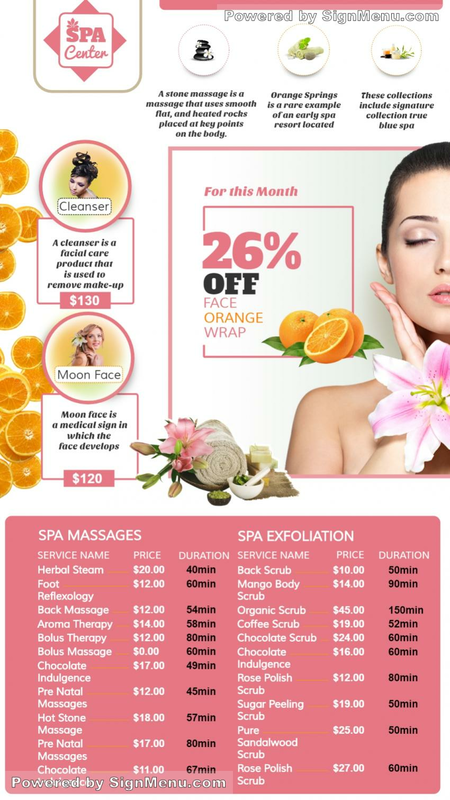 This template shows a women's Spa & salon with its various offerings including a discount offer. When this is illuminated on a digital screen. the effect will be stupendous and your target audience is certain to notice. The digital screen should be placed atop the salon as well as at the entrance for the target customers to make their choice. Most salons today are adapting digital displays to entice their target audience within their vicinity and beyond. This template should serve your purpose, and is ready for download and use.